Lupus is known as a chronic autoimmune disease, which happens when the immune system of our body becomes hyperactive, and then it attacks the normal and healthy tissues. 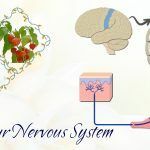 This brings in some symptoms such as swelling, inflammation, and destroys the joints, kidneys, skin, blood vessels, lungs, as well as the heart. 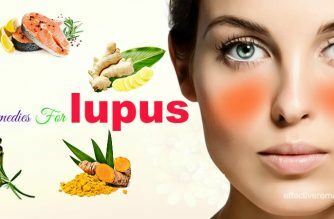 Until now, there is no cure for lupus, however; it can be controlled by medication and many effective home remedies. 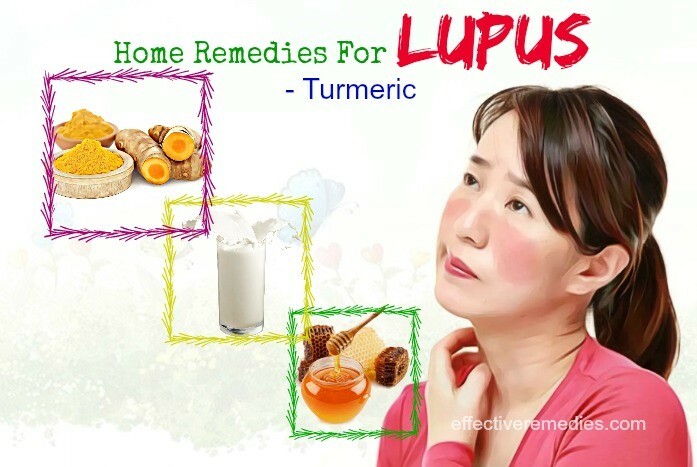 The followings will introduce to you the most effective home remedies for lupus relief in adults and children that help to control the symptoms and prevent the flare-up of lupus. The essential oil is highly concentrated aromatic liquid extracted from plants. It includes a lot of powerful benefits such as antioxidant, analgesic, anti-inflammatory, anti-spasmodic, detoxifying, and antiseptic properties. 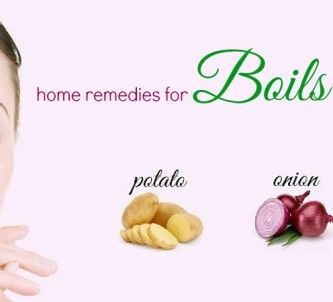 These characteristics help to reduce inflammation, soothe itchy irritated red rashes, relieve lupus headache, and ease painful and swollen joints of lupus. Massage your whole body with a little of this mixture three times per week before taking a bath. Mix well the oatmeal and water in a bowl to get a creamy and smooth paste. Then, add honey and lavender oil to the blend and mix again. If your skin rashes are in a large scale like your back or entire body, you can soak in a warm bath including 2 cups of colloidal oatmeal and 20-25 drops of lavender oil. The active ingredient in turmeric, curcumin, is well known to be an effective treatment of autoimmune diseases such as lupus. In a 2012 paper published in the Journal of Renal Nutrition, turmeric is proved to help to reduce hematuria, proteinuria, and systolic blood pressure in those who have to suffer from relapsing or refractory lupus nephritis. Besides, turmeric helps to decrease the production of cytokine, a kind of protein that is responsible for the inflammation and intimately taken part in each step of the lupus pathogenesis. This will help to reduce the organ damages. Apply turmeric in the daily diet. Turmeric milk is a wonderful option. Add one teaspoon of turmeric powder to a cup of milk and boil it. You can sweeten it with a little raw honey. Drink this once or twice a day. Another way: Taking the turmeric supplement. The general dosage is 400- 600 mg, three times daily. Note: Turmeric is not used for people who suffer from gallbladder problems because it can act as a blood-thinner. Therefore, check with your physician before applying turmeric as a remedy for lupus. Ginger is another great spice that is helpful in treating lupus. It has powerful anti-inflammatory and antioxidant properties that contribute to relieving pain as well as swelling in joints. 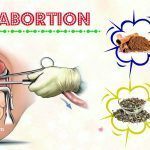 Moreover, ginger is demonstrated to inhibit Factor-kappaB. Factor-kappaB is an energetic agent in a number of inflammatory diseases and conditions (for example cancer, asthma, diabetes, and other autoimmune diseases). It plays an important role in the production of the cytokine. With few cytokines, the inflammation of lupus will be reduced. Use ginger in your daily diet by including it in your cooking. You can juice a piece of fresh ginger root and add it to vegetable juices and fresh fruit. Another way: take the ginger supplements. Ask your doctor for the proper dosage that is suitable for your condition. Note: A high dosage of ginger can aggravate heart conditions. Those who are taking blood pressure medications can get an undesirable in blood pressure. It can also bring in the irregularities in the heartbeat. Some studies found that the eicosapentaenoic acid (EPA) in omega-3 fatty acids can contribute to improving the lupus symptoms thanks to their anti-inflammatory benefits. A 2015 study in the Nutrition Journal had a survey with 50 SLE sufferers when make them consume fish oil capsules that contain omega-3 fatty acids. The result is that they experience a better quality of life, decrease fatigue, reduce disease activity, and lessen levels of inflammation. Moreover, fish oil supplements contain the antioxidant property that helps you solve the common set of lupus problems including oxidative stress, constant fatigue, and inflammation. Increase foods that are rich in omega-3 fatty acids in the daily diet such as salmon, mackerel, sardines, herring, tuna, ground flaxseed, walnuts, and chia seeds. Take fish oil supplements with the direction of your doctor. Note: Too much of omega-3 fatty acids can lead to some negative effect on your health such as increased LDL cholesterol, difficulty in controlling blood sugar levels, and the higher risk of bleeding. Thus, you only take the dosage as your doctor recommends. Many papers show that low levels in vitamin D3 are associated with autoimmune diseases including multiple sclerosis, rheumatoid arthritis, and lupus. In 2011, a preliminary research shown in the American College of Rheumatology annual meeting recommended that vitamin D can contribute to modulating the immune system in SLE patients. Include foods rich in vitamin such as fortified cereals and milk, fatty fish, egg yolks, cheese, tofu, mushroom. Apply vitamin D3 supplements after consulting for the correct dosage with your physician. Warning of using this ingredient as home remedies for lupus: Soaking under the sun to allow the body to get the sunshine vitamin is a good way with many conditions. However, it is not advised to do for this population as almost two in three people facing up to lupus are UV light sensitive. Many natural health practitioners believe that lupus patients tend to lack hydrochloric acid. Apple cider vinegar can help to increase the production of this kind of acid in the body. It has effects on detoxification and improving nutrient absorption. Note: Using too much apple cider vinegar can damage your teeth, upset your stomach, and hurt your throat. Thus, take the right recipe for the best results. The medium-chain fatty acids in coconut oil can boost to balance the immune system as well as reduce the negative immune response. As a result, coconut oil possesses a number of health benefits such as taking control of blood sugar, reducing cholesterol, enhancing digestion, and treating candida infection. The best remedy to incorporate it into your daily diet is to add it to your beverages and smoothies. You also can apply it in your cooking. 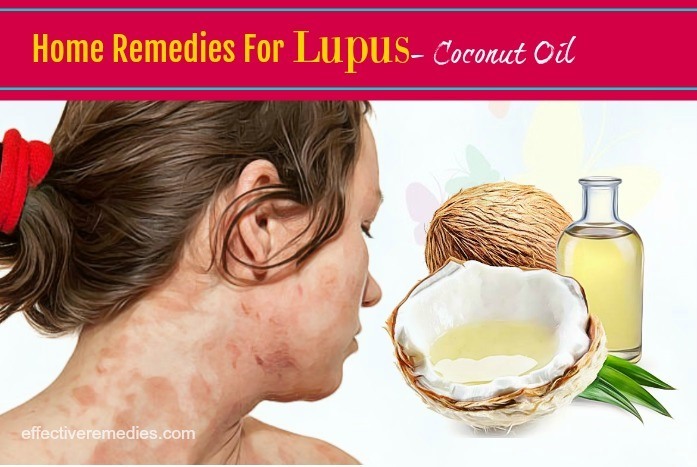 Note of using this ingredient as home remedies for lupus: In general, coconut oil is safe when applied both internally and externally. However, it contains a type of fat that may increase cholesterol levels. Therefore, you have to avoid using it in excess. One of a great way for relieving fatigue, a popular sign of lupus, is to take an Epsom salt bath. This can help to reduce joint pain as well as inflammation because Epsom salt contributes to absorbing magnesium and helps to remove toxins from the body. Warning of using this ingredient as home remedies for lupus: Epsom Salt bath is not used for those who suffer from diabetes or kidney problems. Holy basil, also known as tulsi, is believed an adaptogenic herb that can help to modulate the response to stress (stress is considered the primary cause of lupus flare-ups). Moreover, holy basil can enhance a sense of well-being, manage the organ function, and relieve fatigue thanks to the anti-inflammatory and antioxidant properties. Holy basil is not applied for those who are taking blood thinning medication as it can make the blood become thin. Besides, using basil can make the blood get difficulties in clotting. If you have troubles with clotting the blood, ask for your doctor before using tulsi as a home remedy for lupus. Flaxseed is a powerful treatment for lupus as it has a high source of omega-3 fatty acids which can help to reduce inflammation in lupus sufferers. Besides, it also enhances kidney function because kidney failure is a popular complication of lupus. Otherwise, flax seeds contribute to improving the inflammatory and atherogenic mechanisms in the pathogenesis of lupus. Consume 30 grams of flax seeds per day for the best improvement. Note: Do not use flax seed for those who are suffering from diabetes or bleeding disorders and taking blood-thinning medications. Green tea is known as one of the healthiest ways in the world to alleviate lupus symptoms thanks to the immunomodulatory and anti-inflammatory characteristics. Moreover, green tea is a phenol-rich antioxidant that can help to inhibit the Factor-kappaB protein and reduce inflammation. Note: Do not apply to those with stomach problems, iron deficiency, low tolerance to caffeine. Besides, pregnant and nursing women also should not use green tea for a long time. Probiotics are powerful gut bacteria that take charge of the development of the immune system.  They have effects on extending the length of lupus relief and reduce the flare-ups. In a 2009 study in the Journal of Immunology, they had shown that probiotic lactobacilli can help to control the lupus progression through the induction of the production of IL-10, a kind of cytokine with the anti-inflammatory characteristic. Include fermented and cultured foods like yogurt with live cultures, kefir, acidophilus milk, sauerkraut, and tempeh. All these food items are rich in probiotics. Take probiotic supplements after checking the conditions with your doctor. Note: Some people can experience an increase in bloating, gas, thirst, or constipation when they begin to take probiotics. However, these side effects will go away within several weeks. Lupus is considered a tricky disease due to its complexity. Its signs are often confusing because the problem impacts differently on every patient. Under the normal condition, the body’s immune system creates proteins called antibodies that can protect and fight against antigens such as bacteria and viruses. However, if you caught lupus, your immune system is unable to distinguish between antigens and healthy tissues. 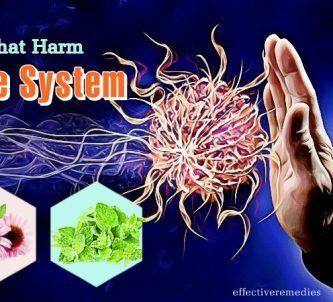 This brings in the immune system to against not only the antigens but also the healthy tissues causing pain, swelling, and tissue damages. Lupus is an autoimmune problem that is caused by the immune system. It can last months, years, even for life. There is no cure for lupus. The treatments for lupus depend on the individual symptoms and the needs of patients. However, in most cases, the cure only helps to lessen the signs occurring at that moment. It is still unknown about the cause of lupus. The reasons of lupus are so sophisticated and mysterious. Although the relatives of lupus sufferers can be at a higher risk of developing this disease, it is not contagious. The symptoms of lupus are very varied. Some common signs include constant fatigue, seizure, achy joints, blood clots, chest pain when breathing, mouth or nose sores, sensitivity to sunlight, ankle swelling, fluid accumulation, unexpected fever (more than 100F). Factors of a lupus flare may include infections with Epstein-Bar virus (in children), certain medications, UV light, smoking, stress, and environment. Systemic Lupus Erythematosus (SLE): is the most popular form of lupus and believed more serious than the other forms. It impacts on many parts of the body such as kidneys, blood, lungs, skin, etc. It makes up 70 percent of lupus cases. Lupus Discoid: only affects the skin and leads to rashes on the neck, face, and scalp. However, one in ten discoid lupus patients will catch systemic lupus. Drug-included Lupus: usually occur after taking certain types of medication. The signs are the same with discoid lupus, but often disappear when stopping the medication. Neonatal Lupus: is rare, often occurs in an infant with lupus. It affects more women than men. 90% of lupus patients are women. Millions affected. According to the Lupus Foundation of America, 1.5 million Americans form of lupus. Moreover, 5 million people all over the world have to suffer from lupus. This disease is most popular between the ages of 15-45. It can be very difficult to diagnose lupus because of its different symptoms. Lupus affects everybody differently. What’s more, the symptoms and signs of lupus are very various. Patients need to get at least four symptoms presented to be diagnosed with lupus. On average, it takes 3-6 years for the sufferers to reach the diagnosis because the symptoms can be at different part of the body. Lupus diagnose might require an antinuclear antibody blood test. This test will determine the strength of the antibodies by calculating how many times one person’s blood has to be diluted in order to get a sample that is free of antibodies. III. 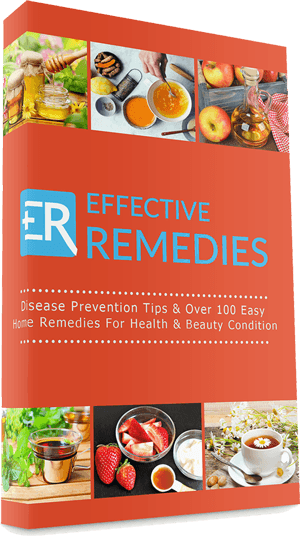 Home Remedies For Lupus – What You Should Eat/Avoid? Cranberries: help to urinary tract infections. Tomato: is rich in lycopene that helps to lower the risks of cancer and heart disease. Good fats: include in olive oil, nuts (chia, flax, walnuts, and almonds), fish oils, and wheat germ oil. Vitamin C: Some sources that are available in vitamin C such as citrus fruits, cantaloupe, cabbage, cauliflower, green peppers, broccoli, strawberries, and fresh tomatoes. Calcium: contains in yogurt, cheese, and milk. Vitamin D: is rich in eggs, fish oil, and whole grain cereals. Vitamin A: get this important element from eggs, beef liver, kale, spinach, carrots, and sweet potatoes. High-antioxidant foods: include leafy greens, onions, garlic, asparagus, berries, and avocado. Bone broth: can decrease inflammatory and autoimmune symptoms that are caused by lupus. Drink plenty of water, green tea, and herbal tea. Gluten: This is a kind of protein in wheat, rye, barley, and most flour-containing products. It makes the digestion difficult, increase leaky gut syndrome, or inflammation. Certain legumes: Alfalfa seeds and sprouts, peanuts, green bean, snow peas, and soybeans include a substance that can trigger lupus flare-ups in some cases. Garlic: Although it is good, garlic is counterproductive in lupus. Because lupus patients actually have an overactive immune system, it is not necessary to include garlic in the diet to boost the immune system. Salt, sugar, and processed foods: These foods can increase the chances of coronary heart problems. Caffeine: Caffeine form tea, coffee, and soda can worsen irritation as well as hamper your sleep. Alcohol: It fights against the immune system and has negative effects on the heart, kidneys, liver, and muscles. Echinacea: boosts the immune system that might cause flare-ups in those who are suffering from autoimmune diseases such as lupus. 1. Which groups of people can most likely develop lupus? Anyone can develop lupus, however; the groups that are easier to develop this problem include women (between the ages 15 to 44), colored people, those in a family history of lupus (are at risk of developing lupus by 5 to 13 percent). 2. Why do the symptoms come and go away? One main key of lupus is that it is a flare disease. 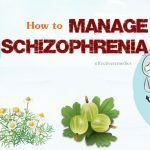 At this time, the symptoms and signs can be in full swing and make you ill, while at other times, they can disappear and you feel better. 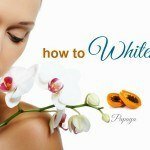 Therefore, it is truly important to prevent the flare-ups to easily control the disease. 3. How can we know whether we have lupus or not? There is no specific test to determine whether you develop lupus or not. Thus, doctors base on some different factors such as your symptoms, your family’s medical history, your medical history, blood and urine tests in order to get a diagnose. 4. Which complications can lupus cause? In general, lupus can injure any major organ as well as the body’s tissues. It may affect the brain and central nervous system, heart, skin, lungs, muscles, joints, kidneys, and so on. 5. Which type of doctor can treat lupus? This depends on the affected areas. If they are muscles and joints, you should go to see a rheumatologist. If lupus affects your skin, a dermatologist is a good choice, while it will be better for you to see a cardiologist when you get heart problems because of lupus. 6. Are there any medications to deal with lupus? Yes. Doctors often use some different kinds of medications that directly address the disease or help to control symptoms. Some popular medications are corticosteroids, antimalarials, anti-inflammatories, and immunosuppressive. Carefully protect your skin from the exposure of the sunlight by applying sunscreen and covering up your entire skin. 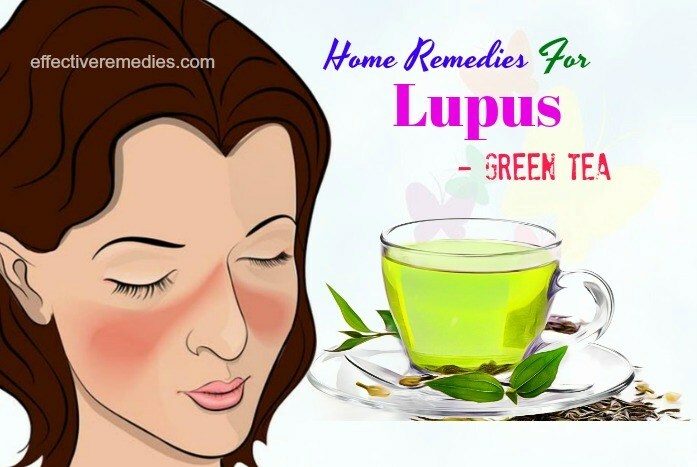 I have given some useful information about lupus, and the most effective home remedies for lupus symptom relief in adults and children. All content provided is for informational and educational purposes. We recommended you consult a healthcare professional to determine which method is appropriate for you. 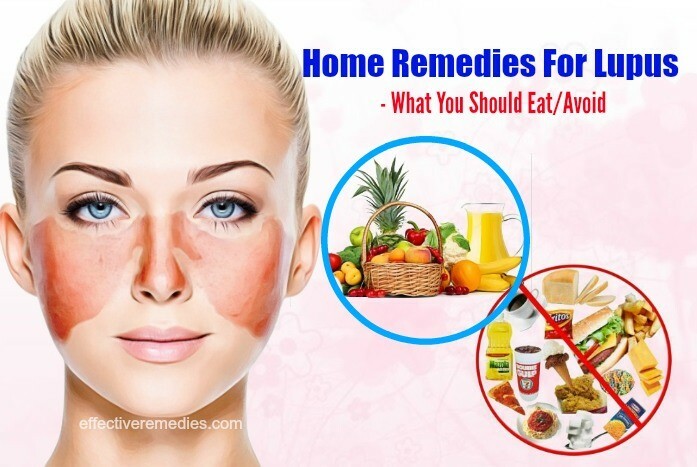 For more ways to have a fine skin, let’s visit our Natural Remedies page. Don’t forget to comment in the form below and let us know what you think. Welcome!